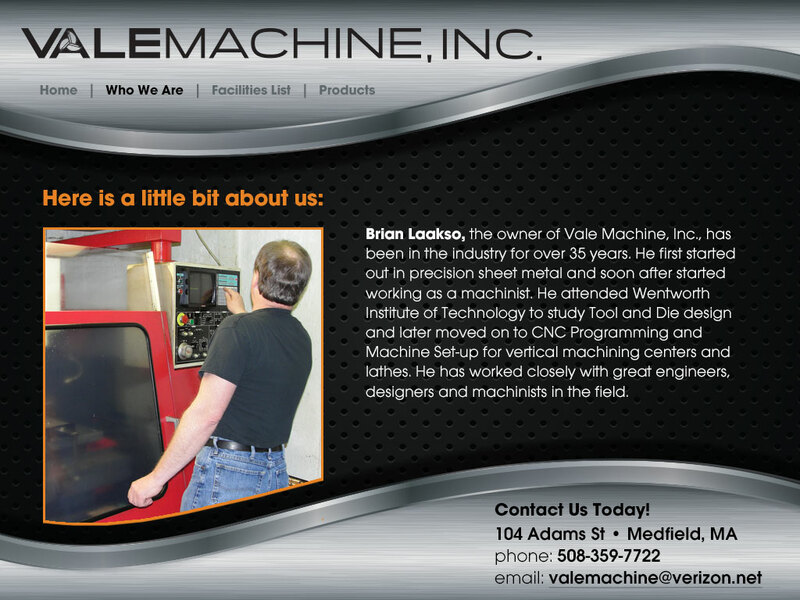 Brian Laakso, the owner of Vale Machine, has been in the industry for over 35 years. He first started out in precision sheet metal and soon after started working as a machinist. He attended Wentworth Institute of Technology to study Tool and Die design and later moved on to CNC Programming and Machine Set-up for vertical machining centers and lathes. He has worked closely with great engineers, designers and machinists in the field.